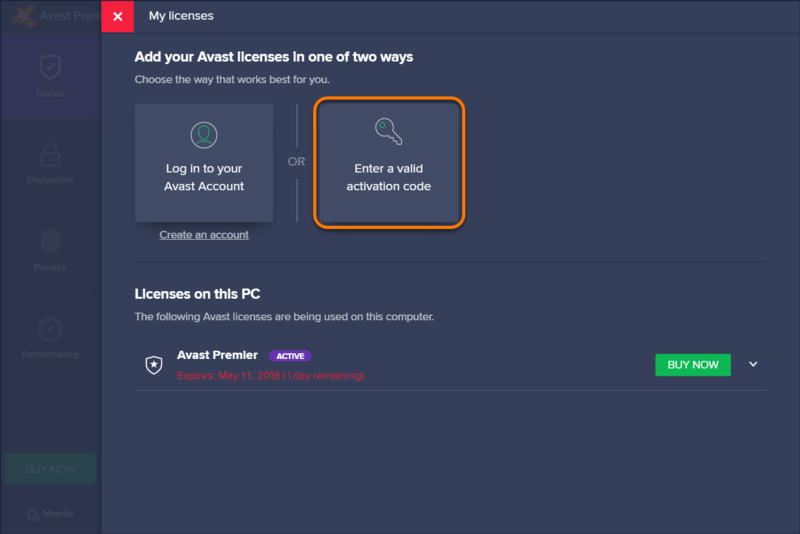 If you purchased Avast Premier and received an order confirmation email containing a license file, you need to insert the file to Avast Premier to activate the product. 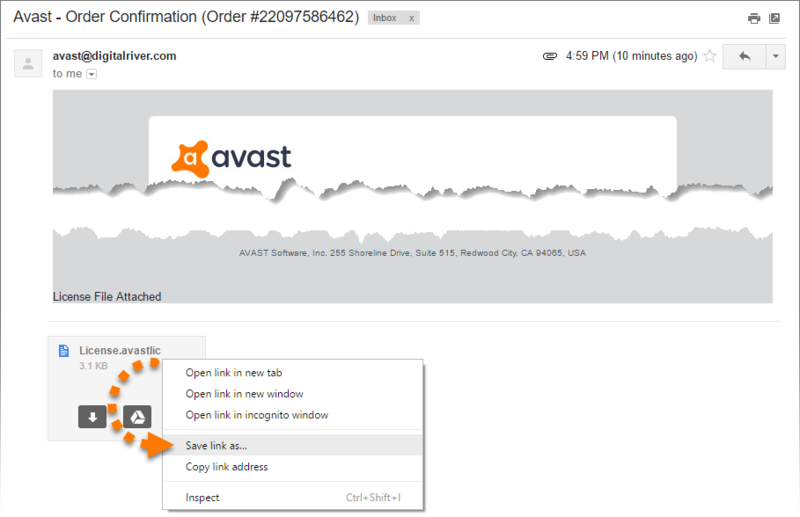 You may have received a license file in an old order confirmation email, or in case you requested a copy of your license. Open your order confirmation email. 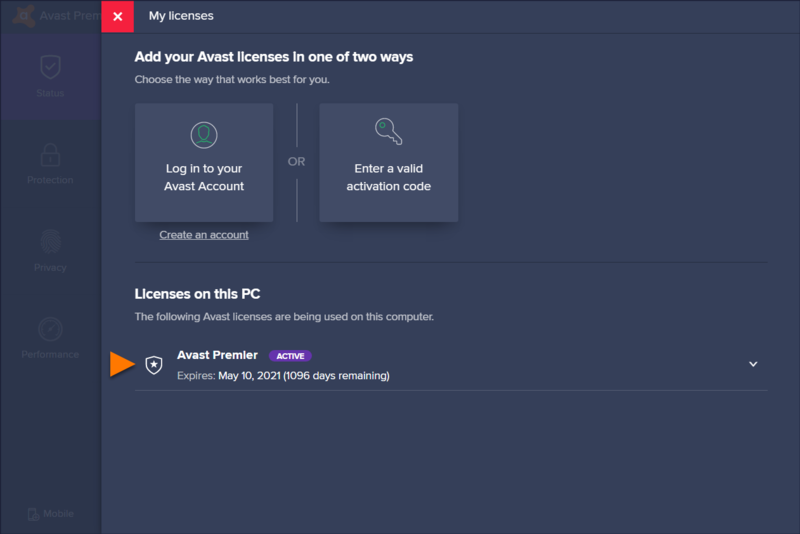 Right-click the attached License.avastlic file to save it. 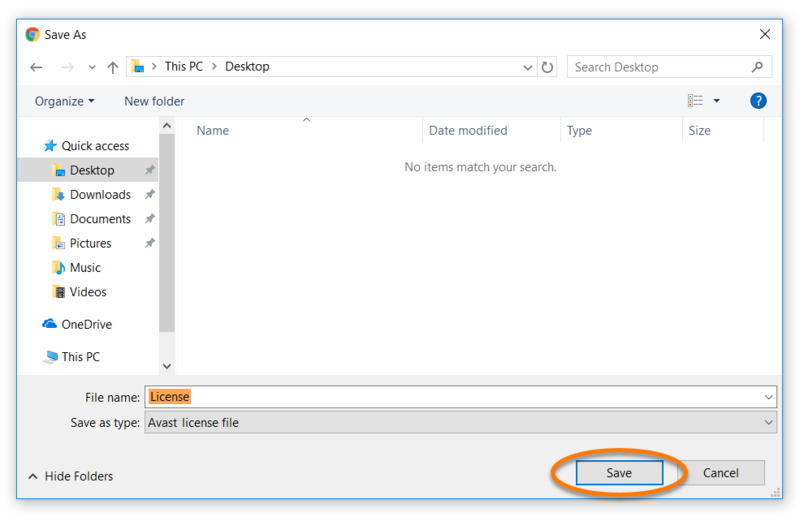 Select a familiar location to save the file (for example, your desktop) and click Save. Click Use a license file. 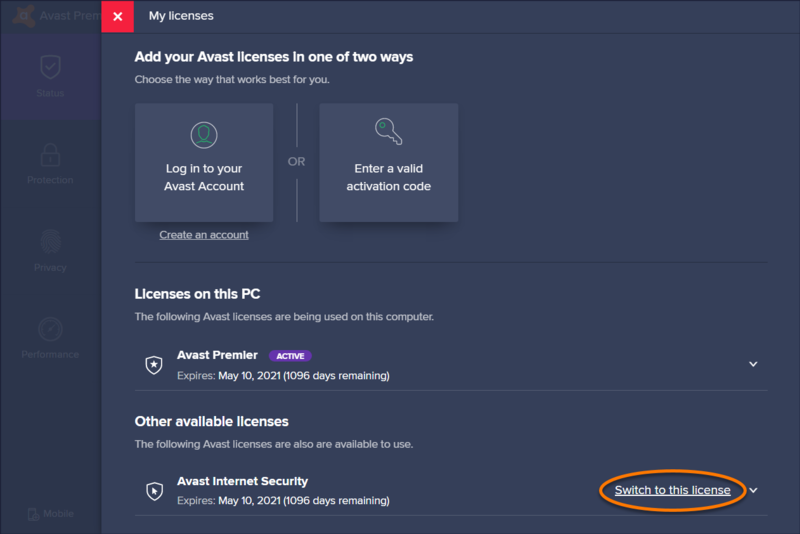 Locate the previously saved License.avastlic file and click Open. Check your license details for the inserted file. 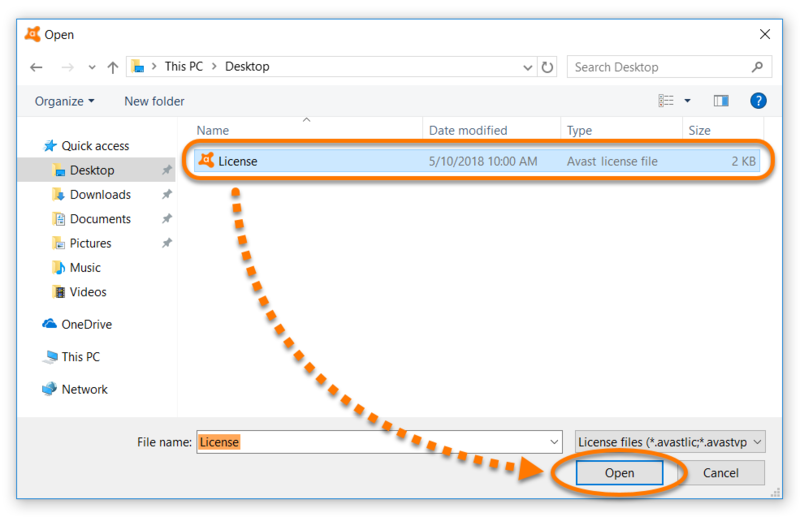 If you have a license file for interchangeable products, you can click on a listed item and select an alternative license from the drop-down menu. Then click Continue to return to the My licenses screen. You can activate your license on the number of PCs you specify when making the purchase. The number of PCs in your license is specified in your order confirmation email.